The Venerable Republic of Pycheko. Formal Name: The Venerable Republic of Pycheko. Informal Names: The Republic of Pycheko. Size of Domain: See map. Technology Tags (Positive): Mass production, mass farming, Blessed Magic. Technology Tags (Negative): High quality products, ship building, advanced architecture. Race: Arushyika, people of the northern steppes. Ancestry: Old feudal states of the north. Biology: Hardy, overworked peasants and diseased commoners. Clothing: Heavy coats made of whatever fur they can get their hands on, sometimes just rags. Kingdom Type: Mountains and frozen steppes that melt to bring fertile lands in the spring and summer. Kingdom Geological Analysis: Iron, silver, and steel. Kingdom Description: A vast region of farmland and cobbled together cities and towns, with rolling steppes to the north and harsh mountains to the south. Political System: A faulty Republic with what appears to be power to the people, but in reality it is a harsh Oligarchy. Language: Aru, an evolved form of the northern languages. Culture: Originally a very barbaric and primitive society, as they developed they had to cope with peasantry and serfdom farming, war, and greed of their leaders. Their main goal? To suffer on. Their folk tales and songs are of great heroes who try to change their world and suffer a terrible price, or of strong young men who grow old and broken. History: 346 - Viking warriors and explorers from the north settle in the relatively green lands north of Hreggvid's mountains. They settle down, the rich black farming soil providing enough food to easily feed whole settlements. 360 - Word spreads of the green land north of the cold mountains, and many migrate there. 396 - The first Kingdoms of the steppelands are formed, they see great prosperity, seeing little conflict with each other or hardships in the winter time as they adapt to the north. 460 - The Kingdoms, originally following Pagan rituals of the north, now take to the popular human religion surrounding Puritus. Ironically, they take to this new religion with little trouble. They become stalwart followers of Puritus, moreso than other human countries that have been following it for centuries. 500 - The Kingdoms donate their armies to the great crusades on the heretics of the Marakai peninsula. 504 - Great Unifying Wars of Ilonia begins. 508 - The Kingdoms are able to form a loose conglomerate in an attempt to stop the marching armies of Ilonia from getting past the treacherous Hreggvid's passes. Their armies are split and full of inexperienced young men. 511 - The Kingdoms are assimilated into Ilonia after three years of guerilla warfare. The Ilonians, like with all of their conquered territory, enact a harsh feudal system. 530 - Tundraki'i wastes work camps are created, Ilonian traitors, non-human slaves, and Arushyika peasant workers are forced to mine the precious metals from the unforgiving tundra. 562 - The Kingdoms and their royal families come out of hiding and rise to reform their great, prosperous nations. They rise large militias that chase off the Ilonian armies stationed there to keep them in line. The Kingdoms are reformed, and in a meeting to dispute borders, there are many that attempt to greedily claim that they owned a large portion of some neighboring nation's land. This split the Kingdoms from agreeable neighbors into bitter rivals. 565 - It has been several years but many of the Kingdoms have yet to change from the feudal system set in place by the Ilonians into the former system of economy with much more freedoms. Late 500s to the early 1000s - The Arushyika Dark Ages, little technological development, many changes in Kingdoms and several peasant-fueled wars. The Arushyika become one of the most technologically inept and backwards humans in the world. 1047 - The serf-Kingdoms of the divided Arushyika steppelands and are greatly weakened. There is great unrest and serf farmers begin to rebel. Citizens, tired of their kingdoms, begin to take up arms. Across the whole plains, there are widespread rebel uprisings. There is no clear goal, just complete chaos and a thirst for vengeance against the bureaucracies, nobles, and the kings. The Great Peasant Revolt begins. For two years, the kingdoms wage a volatile, all out war. With each other, with themselves, and with their own people. 1049 - A brilliant visionary and expert orator arises as the leader of a unified rebel group in the Kingdom of Vytek, the richest Kingdom to the far west, on the coast. Once a student at the Vyteko University of Political Arts, he has turned into a figurehead for the rebellion. His name is Vigkhet Lykarev, and with his inspirational speeches, he unifies the people into a more orderly rebellion. With great tactical thinkers at his side, he orchestrates the overthrowing of Vytek and the King. There, at the palace of the king, he forms the unofficial Republic of Pycheko, named after a serf-farmer who lead a large rebellion against the kingdoms many years ago, but failed. From the ruins of the King's palace, he commands the Pychekan Revolutionary Army. For the next 5 years, he will win the hearts of the public and use their support and strength to take out the political leaders in their areas. 1053 - The official, unified Republic of Pycheko is established. The nation rapidly moves to rebuild, form a government, and rejoice in their triumph over evil. 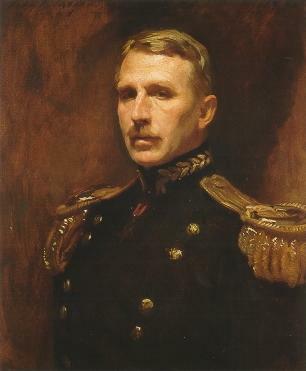 Vigkhet Lykarev is named the first Czar of Pycheko. 1057 - The government is formed and structured, with the official capital being Vytek. Farmers and workers are now payed with the new currency, Pychekan Hegghets. The feudal system is not removed, but it is modified to integrate into the system of the republic. People now have much more political freedoms. 1059 - The Pychekan Army is formed, at first it is largely unstructured and weak. Over the years it will grow substantially. 1060 - Pychekan navy is formed, at first it is made up of the tattered fleets of the coastal kingdoms, river patrol boats, and converted merchant ships. It defends Pychekan exports and imports from piracy in the northern waters. 1101 - The Great Blight Purge. A terrible disease spreads from explorers who return from the Tundraki'i far north, the Blight. A disease that corrupts first the body, leaving it weak, and then the mind. The Blight is a terminal disease that drives the infected to the brink of death, and then gives them extraordinary powers and a thirst for blood. They say it is a disease of an old Arushyikan God, the Plague Father. Where it came from doesn't matter, because it was becoming a growing epidemic at the beginning of the Great Peasant Revolts, and the attempts to contain it were failing. In response to the growing cases of blight Czar Lykarev gives General Yurik Petrenko permission to form the Zamnevii Inquisitari Pycheko. Or the Venerable Pychekan Inquisition, which will one day become the Zamnevii Komisarye Pycheko. Or the Venerable Pychekan Commissariat. With the formation of the VPI, the first signs of the government turning oppressive begins. The VPI is formed from elite soldiers and masters of magic. The Blight-Casters, which often hide in plain sight, are careful to give their identities away. To counter this, the VPI use ruthless tactics. Under the Governor-General Council Order No. 36, the VPI are above the law and are to track and execute Blight-Casters through any means necessary. In the Great Blight Purge, those who might know Blight-Casters are taken away and often never seen from again. Anyone accused of being a Blight-Caster unless they are very obviously not one, are shot. The VPI does not just scour the citizen population for Blight-Casters, as 2 special divisions of the VPI are formed. One that closely monitors government officials, and one that is integrated into the military's chain of command. Anyone who even sneezes funny under their watchful eye are executed or taken away. High ranking members of the political party and the military are not excluded. While the number of Blight-Casters actually killed is unclear, the main objective of the Purge was completed: Lessen their number and keep them out of the government and the military. Over 20,000 people went missing in the Purge. 1102 - Czar Lykarev dies. A massive funeral is held in his home city, renamed to Lykaregrad. A son of a famous Governor-General is put in his place. Ukev Bymirov is named the new Czar. 1103 - Governor-General Council Order No. 45 - Political Officers of the VPI are inducted into everyday life. They spread propaganda, keep morale up, and look out for those who would harm the Republic. They are almost on every street corner. 1104 - Governor-General Council Order No. 51 - Open relations to bordering nations and open borders for immigrants. Starts a propaganda campaign with varying success, mostly targeting races that are discriminated/part of the slave trade. Giants are used as an example to show the world how accepting Pycheko is. 1104 - Governor-General Council Order No. 72 - The northern territory of Pycheko will now be referred to as the Wastes Exclusionary Territory. Villages on the northern fringe of Pychekan territory are evacuated and military posts are set up to patrol the cold north and keep unwanted entities out. 1105 - With interests in national defense and a better trained military force, the special forces of the military is formed, dubbed The Buriczyka. 1122 - Governor-General Council Order No. 93 - All males at the age of 17 and above are liable to be called to the aide of their country and conscripted into the military at any time. 1135- Governor-General Council Order No. 117 - Under the euphemism of "working in specialized positions fit for their race to help the people", almost 80% of all non-human population in Pycheko are relocated to places that are fit for their traits. Adept users of magic are lured in with a promise of a hire standard of life, and are put to work in the army or in enchantment/achemy workshops. Races such as Orcs and Giants are put to work in the tundra workmines. 1147 - Pycheko now has one of the largest, poorly equipped and trained armies in the world. The new Czar claims it keeps the people employed, which is partly true. The un-employment rate is very low, which dissolves some of the world government's concerns. Also in 782, Governor-General Council Order No. 124 - Females are now permitted to serve in combat roles in the military. 1152 - Andriy Burinkoff, a renown Pychekan writer, is sent to prison after attempting to publish his book criticizing the government, named "Oh my Czars." 1157 - The Minotaur War is started in the swamp lands to the east, claiming that the half-sentient beasts were raiding villages on their border. The masses of armies gather rather closely to the Kingdom of Jotun's borders as they fight in the Minotaur's boggy swampland home. 1159 - Massive militarization and conscription, the Minotaur war seems to be using a lot of the military's resources: Men. Present - Pycheko keeps an oppressive hold over it's people, a large military, and a strong political emphasis on daily life. "I am here to ensure all things go to plan. No matter the cost." Allegiance (if any): A feverish allegiance to his country. 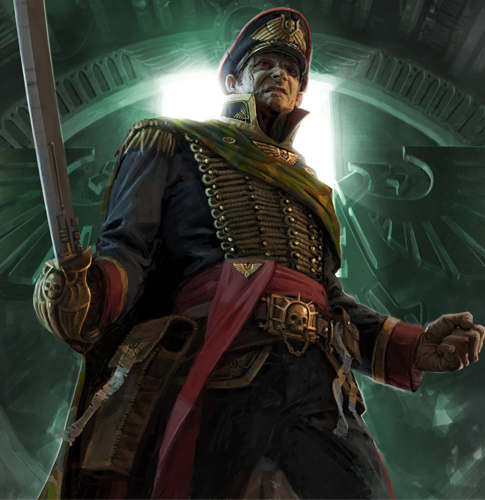 Appearance: A six foot one tall man, with he wears a dark, olive trench coat, a large officer's cap, and underneath his coat a ceremonial Commissar's uniform. Backstory: Volosin is a decorated veteran of the Minotaur wars, and has taken part in several famous arrests against Blight-Casters and Blight-infected around the country. He is willing to put his life before the Czar. Re: The Venerable Republic of Pycheko.